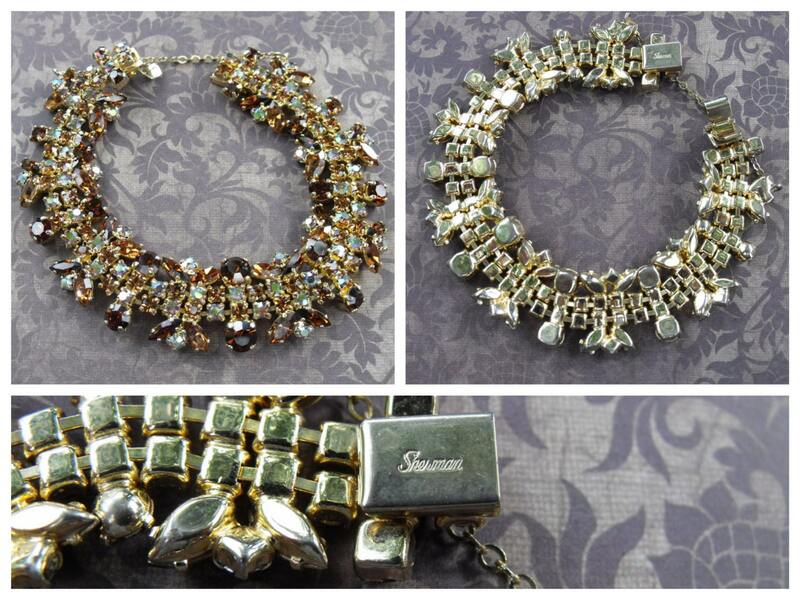 Brilliant Signed Sherman Bracelet, Earring and Brooch set is in excellent vintage condition. 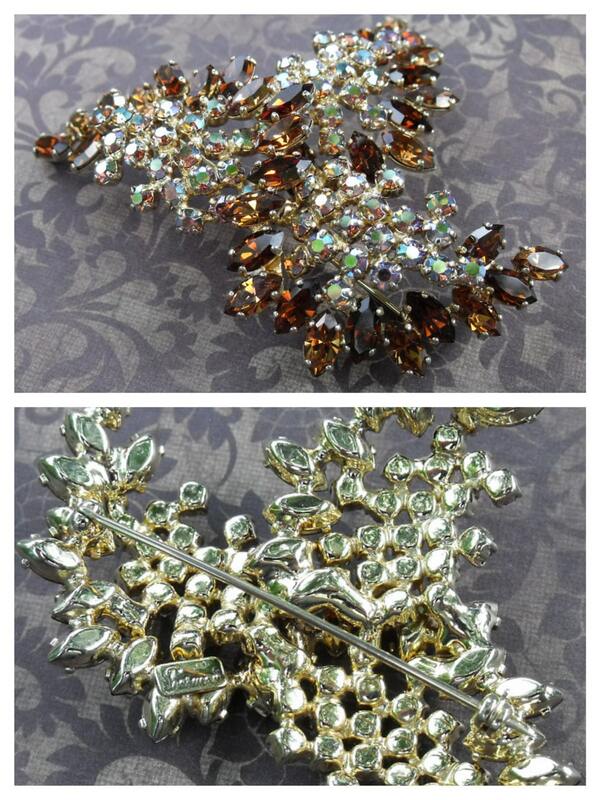 Gorgeous Topaz and Amber Aurora Borealis Swarovski crystals in marquise and round cuts. All pieces are signed and have been set in a gold toned rhodium. Gustave Sherman was known for Canadian-made, high quality costume jewelry. He began creating in 1947 after the end of WWII. Sherman is known for using only the best stones, which called for Swarovski. He also insisted upon a thick rhodium plating on each of his pieces. Sherman's brilliant shine is difficult to photograph. 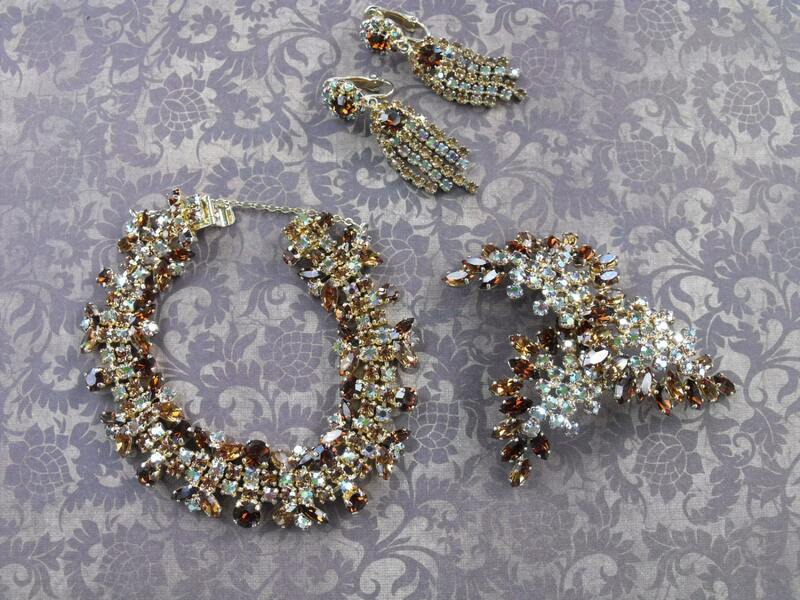 You will be absolutely stunned by the sparkle of this jewelry in person. ✦ Double Strand Bracelet of Round Cut Rhinestone Crystals Edged in Marquise and Large Round Cut Crystals. Measures 7 1/2" in length and 3/4" in width and includes a safety chain. 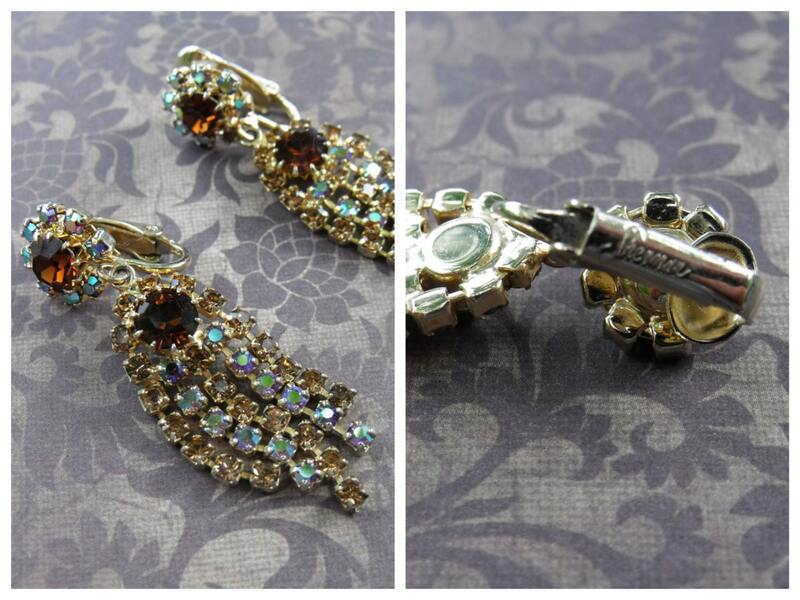 ✦ Five Strand Chandelier 2" Drop Clip-On Earrings with Large Topaz Centres. 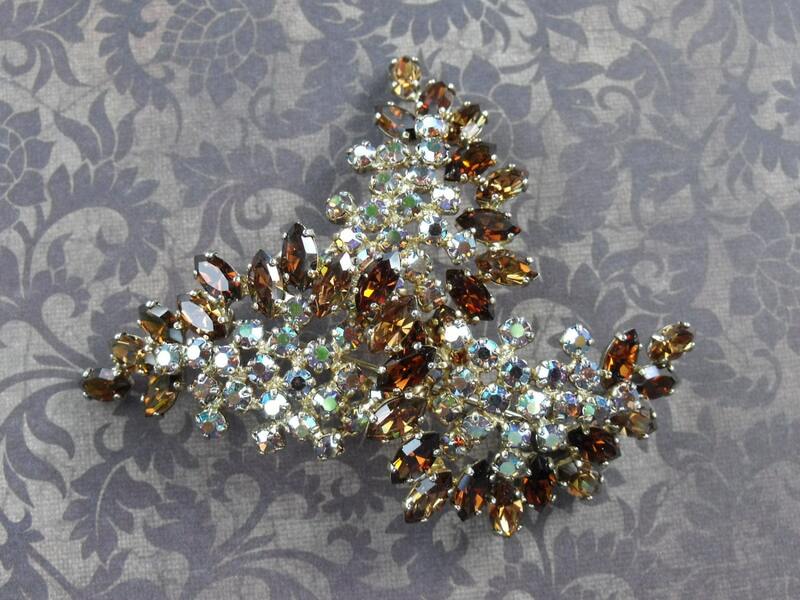 ✦ Three Leaf Swirl Brooch of Topaz Marquise and Round Cut AB Rhinestone Crystals. Measures approx 3" by 2 1/2". Thanks for visiting Wildwoodrose Vintage. Follow us on Instagram and Twitter @wwrvintage or join our Facebook page for updates on our collection.